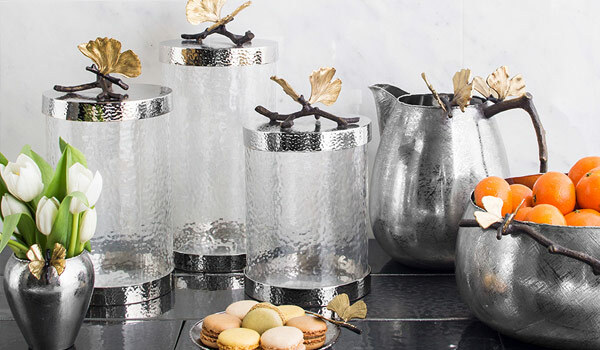 Michael Aram is an American born artist who works primarily in metal. After studying fine art and living as an artist in New York in the late 1980's, Aram took what would later be a life-altering trip to India where he discovered rich metalworking traditions. Aram's work reflects humanity through the directness of the handmade process, as each piece is lovingly made using age old traditional techniques. Appropriately, in Hindi, "aram" means "gently, with peace, with love and care". Repeating this direction mantra-like to the craftsmen, Aram succeeds in making high quality work, which is as much a personal statement, as its appeal is universal.